just not as fast as I'd believed possible. over the last three months since the divorce was finalized. my time management has shifted. So instead of hard and fast dates for release. I'll post updates here on where I am with the stories. King Penn's D.R.E.A.M. the street lit rough draft is entering editing. contacted as I type this post. is still in rough draft composition. The plot is done and I'm writing at least one scene everyday until it is completed. and the plot has been completed. Overall synopsis has been completed. Cover art is being researched for selection. 1/4 of phase one is complete. serial fiction series season one plot is almost complete. which is why writing the books is running so behind. Please forgive me, and thanks for understanding. are very important during this time in my life. 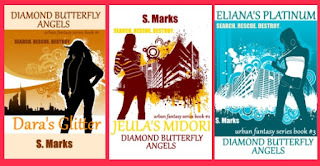 Please keep spreading the word about my completed books.